Join us for the Ungulate Care Workshop: “Hoof Care and Trimming Procedures” at the Oakland Zoo in Oakland, California. During this 3 day course you will obtain a complete understanding of hoof health and will gain valuable hoof trimming skills! During the course you will get a pair of carbon fiber trekking poles that will help you along the walk! This workshop is limited to 6 participants as it provides both classroom learning and hands on field experience. Contact Amy Phelps for information. Sign up early, there is a 10 person maximum for this workshop! Course to coincide annual herd exam as animals are moved to and from pastures or winter holding. Various antelope and deer species—moving groups and squeeze chute exams. Two full days with arrival the night with warm outdoor camping blankets before and departure on the third day. Housing at Conservation Science Training Center cabins. $300.00 per person—Course and housing. Plus $25.00 TAG donation. Contact Dan Beetem for more information. Participants will spend part of each day working directly with St. Louis staff to gain experience in managing 23 species of ungulates, 2 species of marsupials and 9 species of birds in a traditional urban zoo setting. Contact Tim Thier for more information. Winter Dates Only—Course to coincide with the animals in hard antler. Two full days with arrival the night before and departure on the third day. $300.00 per person—Course and housing costs. Contact Adam Eyres from more information. The Los Angeles Zoo has over twenty years of experience in the management and husbandry of several unique ungulate species. Participants will be able to work closely with LA Zoo staff that care for these species. The LA Zoo specializes in the management and husbandry of forest duikers, gerenuk, pronghorn, Suids and Caprinae. Contact Jeff Holland for more information. Ruminant Browser Nutrition Workshop Information, click here for more information. 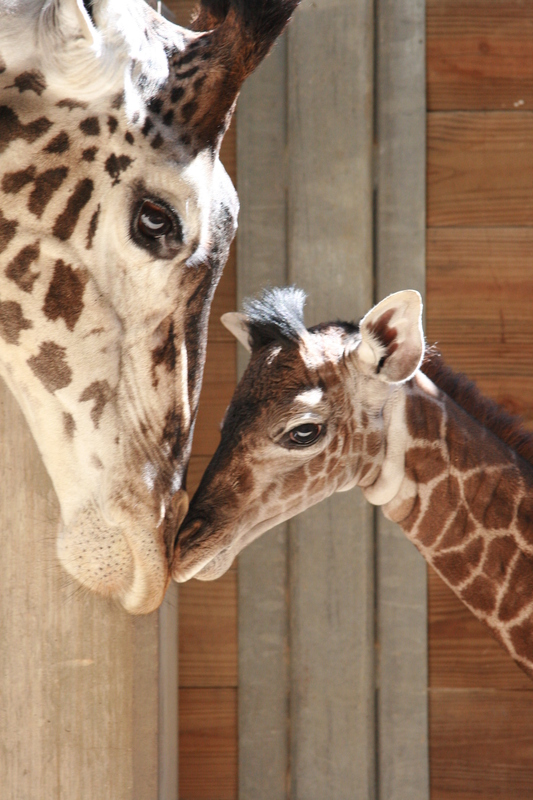 Calling all Zookeepers, Veterinarians, Field and Zoo Researchers and Giraffe Conservationists! Mark your calendars for the Inaugural Giraffe Professionals Conference to be held at the Phoenix Zoo from February 21 to 24, 2010. Please follow this link for the conference announcement to learn more about "All of the Above". Did you know that one fourth of antelope species are threatened with extinction in the world? Please read the latest IUCN Report for more information. Check out Fossil Rim's Wildlife Center new blog, Dr. Hoofstock! "Centered at Fossil Rim Wildlife Center, we are a small group of students, managers and scientists engaged in a collaborative learning project to improve management of tropical hoofstock species on private lands across America. We are starting with waterbuck and plan to network with other institutions to apply what we learn to other species such as addax, addra gazelle and Przwalski’s horse". Hot off the presses: Volume 5 of Sandscript, the Sahara Conservation Fund's newsletter. SCF"s mission is to conserve Sahelo-Saharan antelope and other species. The most recent Antelope Specialist Group Gnusletter Volume 28 #2 (March 2010) is now available at the new Antelope Specialist Group website. The latest Giraffa issues, the newsletter for the International Giraffe Working Group can also be found on the Antelope Specialist Group section of the IUCN (International Union for Conservation of Nature) website at www.iucn.org.